The Donkey Sanctuary in Ahmedabad, India is doing for beasts of burden what animal shelters do for cats and dogs worldwide. Prospective adopters can get donkeys that are healthy but not fit to work. And as is the case with all adoptions, the Sanctuary looks for families who are genuine animal lovers and have the time and resources to spend. Doctors, who work at the facility, admit that it can be a bit difficult for people to get convinced about adopting donkeys as the animals have a very low status among animals in India. 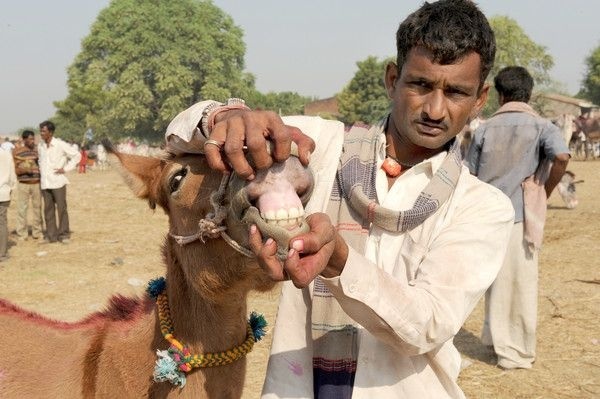 However, according to Kumar Perumal, veterinary coordinator of the Donkey Sanctuary India, "Very few people know that donkeys can be good pets." According to Perumal, the only disadvantage is that the animals can bray a bit loudly. We this become trend or go beyond India?